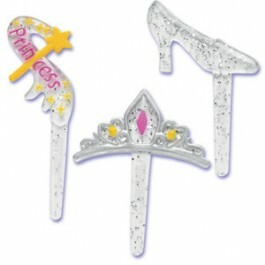 Thinking of hosting a “grown up” princess party? Ooh…so enchanting! 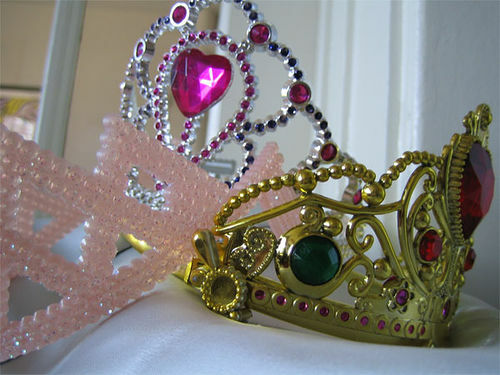 If you’ve never been the belle of your very own princess party, grab that tiara and remember that you’re never too mature to play royalty for a day. Here’s how to put together a party that will enchant your guests and have everyone in the mood to celebrate. But Wait. Isn’t a “Princess” Party for Little Girls? Not anymore! In fact, the past few years have seen a whole host of retro and “be young again for a day” attitudes when it comes to party themes, decor and favors. Princess parties are great for birthdays, bridal showers, girl’s night out, graduation, a bachelorette party or a “we’ll miss you” party when a co-worker is ready to move on to new things. A fillable favor with flavor. Cinderella and princess theme favors will make your party gorgeous. Pumpkin or glass slipper candles, slipper-shaped goody bags, and even a retro DVD of the original Cinderella (or your favorite Disney princess movie) make great favors for this theme. So cute: whimisical cupcake picks. Hand out tiaras to guests as they arrive. Serve oh-so-elegant finger foods, such as finger sandwiches/tea sandwiches, tea, scones and biscuits with jam from your local farmer’s market (in-season jams are the best!). 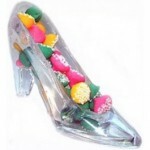 Add some bling with fanciful food decor and cupcake picks that fit your theme. Use plenty of faux gems, feathers, faux pearls and lace in your decor. If you like a girley look, focus on pinks, purples and lavenders, with touches of metals (gold and silver). Loop taffeta or another material in bunches all around the party table, castle banner-style. If you really want to kick things up a notch, have your princess party be a masqued ball. Masks are easy to make (and inexpensive to buy; check out Amazon and Ebay). Have guests dress in their best and serve either a buffet or a sit-down dinner. Gorgeous! Extend the royal feel from your invitations to the party decor to take-home favors. Your guests will feel they’ve been delivered the full royal experience — and you’ll be the talk of the town.